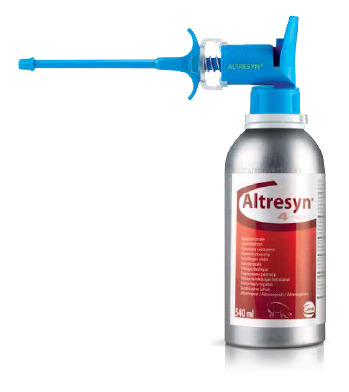 Altresyn® is the answer to your reproductive needs. An 18 day treatment regimen with Altresyn® will bring your gilts into heat within 5-7 days of completion, thus facilitating heat synchronization and batch management. We have to depend strictly on nature for sequencing breeding and farrowing schedules. Having manpower available seven days a week. More efficient gilt pool management. More efficient use of labor and more predictable pig flow. Regardless of the phase of the oestrus cycle when you start administering Altresyn® gilts will come in oestrus smultaneously within 5-7 days after the treatment. 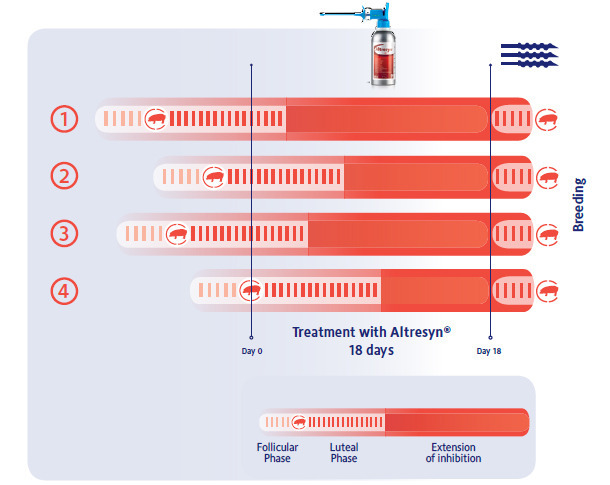 The Altresyn® treatment period is fixed to 18 days to cover everytime the whole luteal phase, even if the treatment has started in the follicular phase. 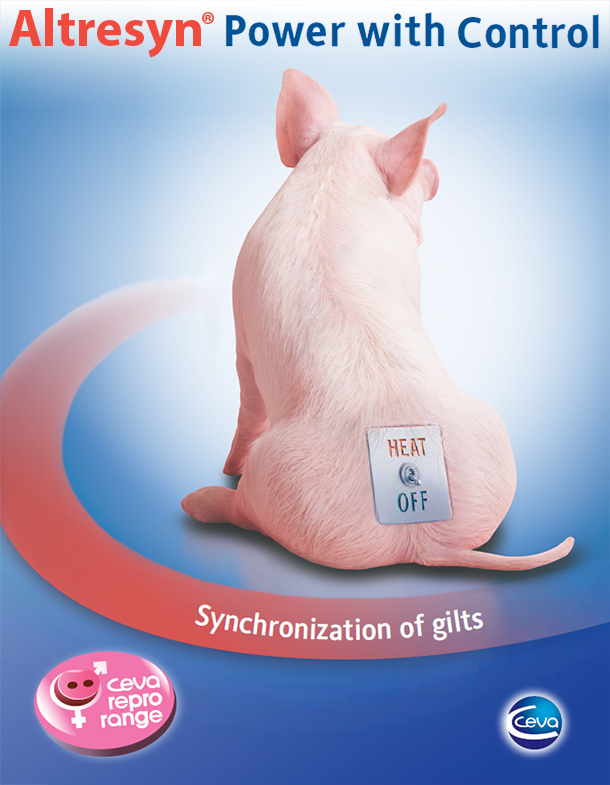 At the time of Altresyn® withdrawal, all gilts are at the same physiological status. Follicular growth will start again after the break of the inhibition of gonadotropin hormones associated with the withdrawal of Altresyn®. The follicular phases of all gilts receiving the treatment will be synchronized and oestrus will appear with ovulations over the next 5-7 days. inseminated in 2nd spontaneous heat. Out of 816 gilts treated with Altresyn®, 758 were successfully mated (93%) with high rate of synchronization. The distribution of the age at first service was more appropriate after the synchronization with less matings of elder gilts. in terms of weekly served sows and gilts together (p<0.005). before with the conception rate 92.1% and WOI 5.3 days compared to previous results of 91.4% and 7.8 days. Press the dispenser pump to the bottle upside down. The release comes out the exact dose of 5 ml = 20 mg altrenogest/gilt. 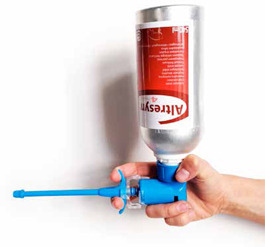 Should be applied one dispensing pump pulsation per gilt and day. 3. It is recommended to apply the product at the same time every day (first action in the morning). If we stop using it one day, effectiveness may decline. 5. For the suppression of treatment (Day 18). It is essential to set the date of the start of mating and withdraw Altresyn® treatment about 5 days before. (Usually coincides with the day of weaning of the batch). 1. Gunner Sørensen. Best practice in the gilt unit. Congress for pig producers. Herning 2013. 2. N. Thing, New ways to evaluate the benefit of gilts synchronized by Altresyn® on the flow of breeding animals and the piglet output. medicinal product to animals. Avoid skin contact with the product. Pregnant women and women of childbearing age should avoid contact with the product or should exercise extreme caution when handling this product. Accidental spillage on the skin should be washed off immediately with soap and water. Seek medical advice. Dosage Oral use. 20 mg Altrenogest (5 mL) per animal once a day for 18 consecutive days. Animals should be segregated and dosed individually. Add the product as a top dressing to the feed using the metering pump. Withdrawal period Meat and offal: 9 days. Presentation and storage Carton of 1 container of 360 ml pressurized container and carton of 3 containers of 360 ml pressurized containers or 1080 mL and 540 mL non-pressurized containers. Protect from sunlight and do not expose to temperatures exceeding 50 °C. 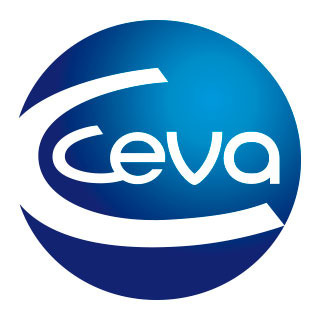 Ceva Santé Animale 10, av. de La Ballastière 33500 Libourne.